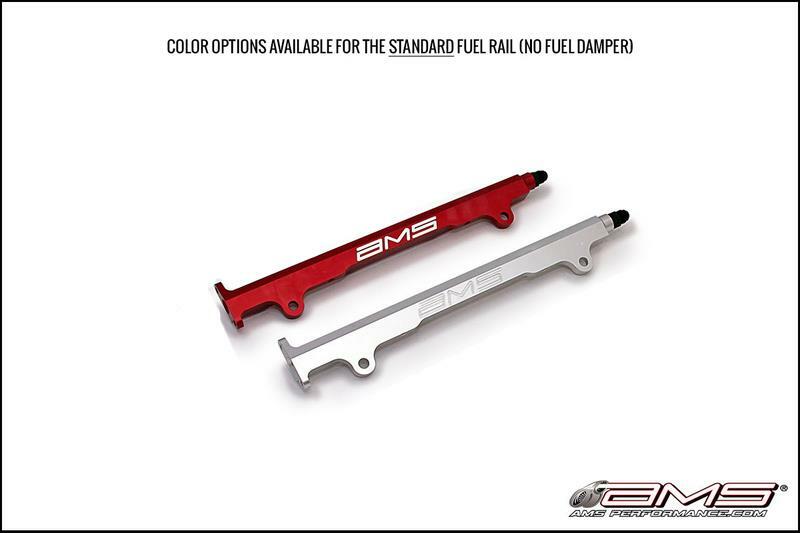 The AMS Performance Fuel Rail provides increased fuel flow which is necessary at higher boost levels. 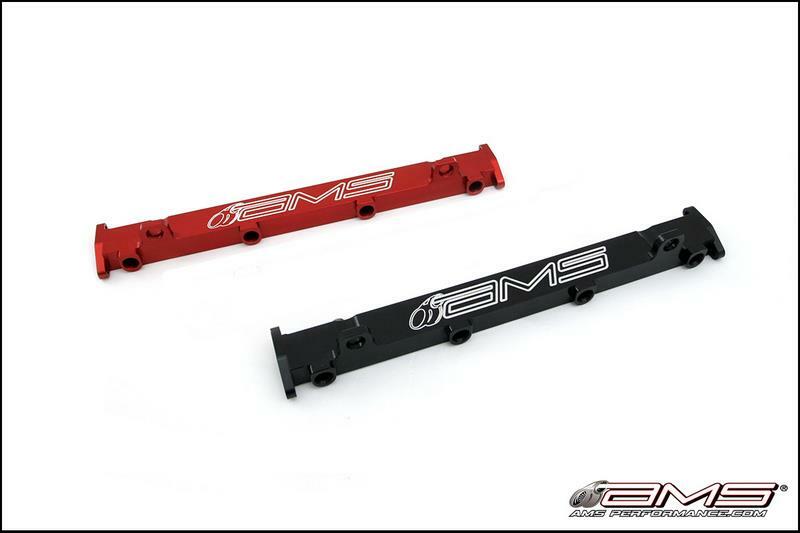 This CNC’d aluminum rail comes anodized in Red, Black or Silver and includes our signature AMS turbo logo. With a 13mm diameter inlet and outlet it dwarfs the stock rail in flow area. This is true bolt on part that will install with your factory fuel lines, fuel pressure regulator and works with all factory style fuel injectors.